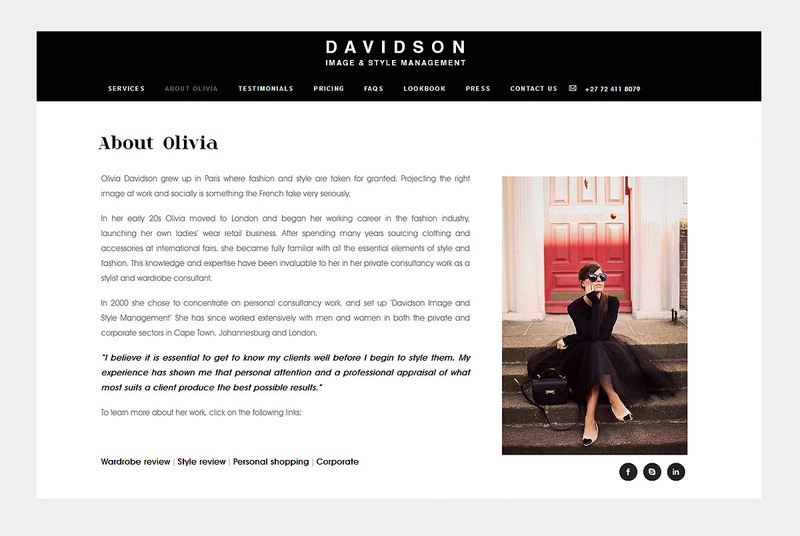 Olivia helps people to dress well and perfect their image and style... from wardrobe tweaking to complete makeovers! The website design is stylish, sophisticated and chic. Cool greys are off-set with touches of colour from fashion photography. Webfactory also designed a chic corporate identity and set of stationery.